If you love pumpkin spice everything, these simple no-bake pumpkin spice latte bites are the perfect play on your favorite seasonal drink this Thanksgiving. It takes only 5 minutes to whip up this perfect doughy autumn treat originally crafted by the blog The Big Man's World and shared with "GMA." They're vegan, gluten free, dairy free and come with a Paleo and high protein option, according to The Big Man's World. These no-bake pumpkin spice latte bites are Paleo, vegan and gluten free. In a large mixing bowl, combine your almond butter with pumpkin puree and mix well. Add your coconut flour, pumpkin pie spice and liquid sweetener. Mix until fully incorporated and a thick batter remains. If the batter is too thin, add a little extra coconut flour. Using your hands, form 18 small balls and place in the plate. Pop into refrigerator until firm. The latte balls should be kept refrigerated. Check the batter and if the batter is too thin, add extra coconut flour. Too thick or crumbly? Add some extra liquid (milk, if you have no dairy restrictions). For a non-keto option, use pure maple syrup or agave nectar. These are also freezer-friendly. Simply thaw for about 10 minutes and enjoy! 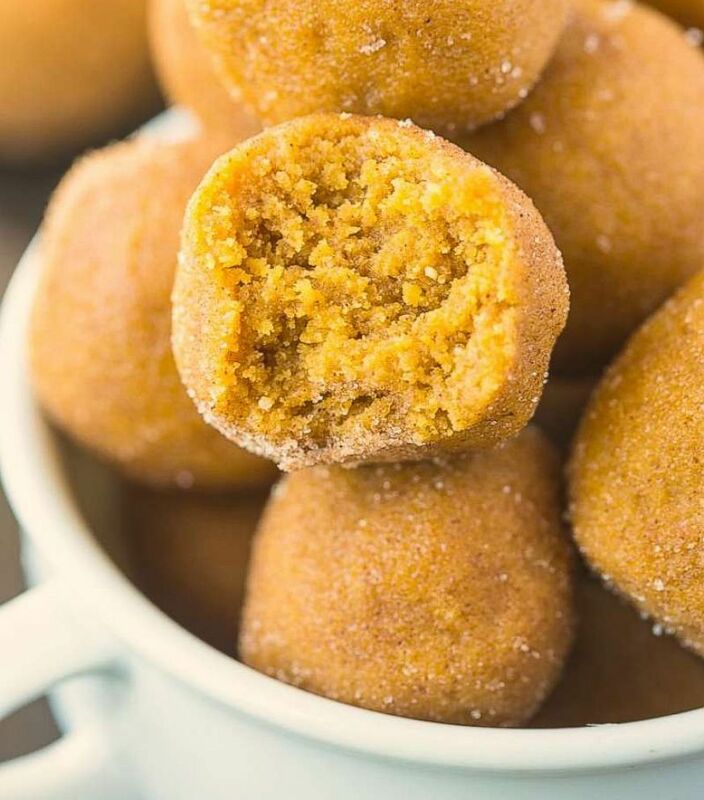 For info on the pumpkin spice latte balls' nutrition facts visit the full recipe post. For more of The Big Man’s World's recipes, follow him on Instagram.